Cramond is a popular dog walking route. The dog friendly pub the Cramond Inn is at one end of the promenade, with the Silverknowes Cafe at the other. You can also walk out to the island but make sure you check the tide times first! This Caravan Club Site is located near to Cramond Beach, which is a popular area for Edinburgh dug walkers. It is open all year and tent pitches are also available. 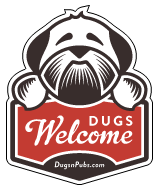 There are a total of 3 dog friendly listings in the Cramond category. Please log in, or sign up as a member to view all listings.